Came across this on Reporting the Revolution pinboard. Fascinating (and quick) story of how the French outsmarted the English to achieve a naval victory at Chesapeake bay. 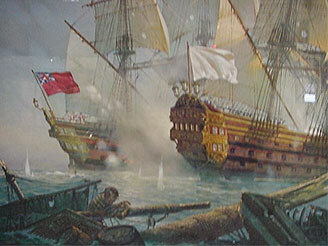 Without this victory there would of been no battle of Yorktown and no victory for the colonies. Check out Reporting the Revolution blog by writer Todd Andrlik. Some interesting stuff in there.